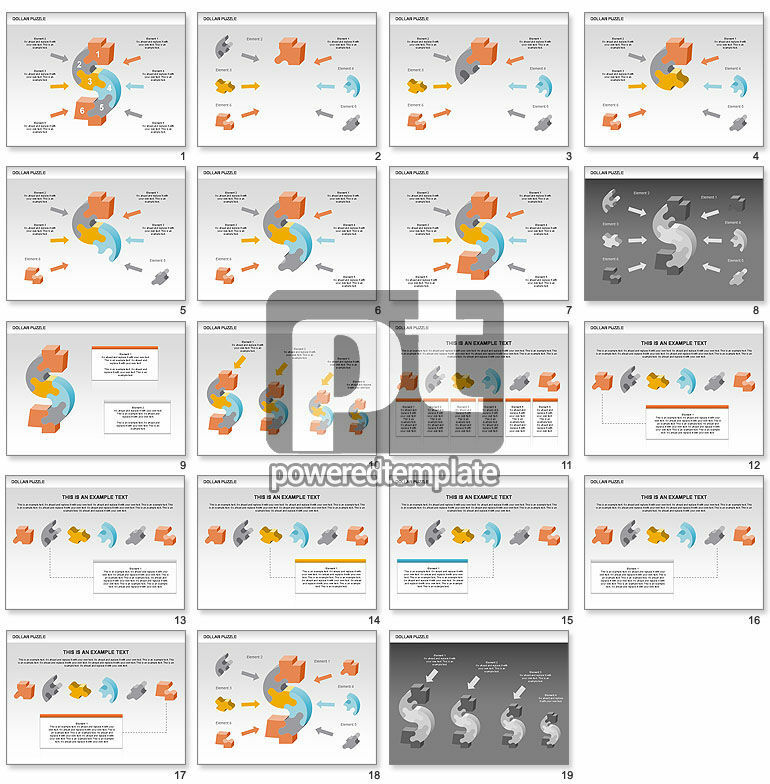 These presentation slides 28758 are complete compatible with Google Slides. Simple download PPTX and open the template in Google Slides. Set of charts with dollar-shaped 3D puzzle will be perfect for presentations on finance, financial structure, monetary, business, hard currency, world currency, financial crisis, etc.